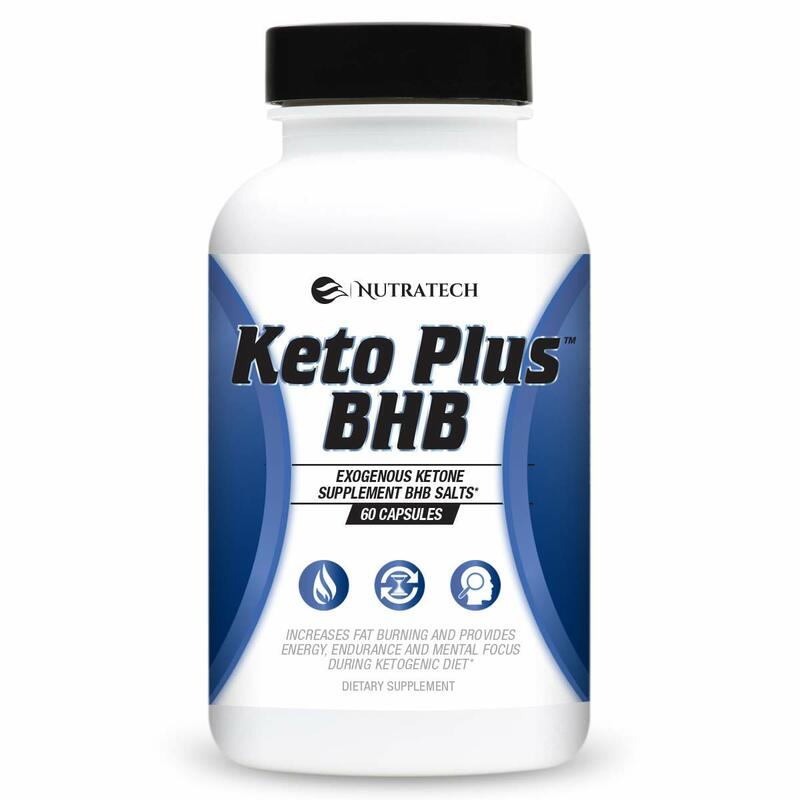 Nutratech Keto Plus capsules comesin the form of 3 different BHB salts (beta-hydroxybutyric acid, also known as beta hydroxybutyrate). These BHB’s are an immediate source of usable energy, which becomes a necessity for your body to function properly while on a very low carb Ketogenic diet. What are exogenous ketones? 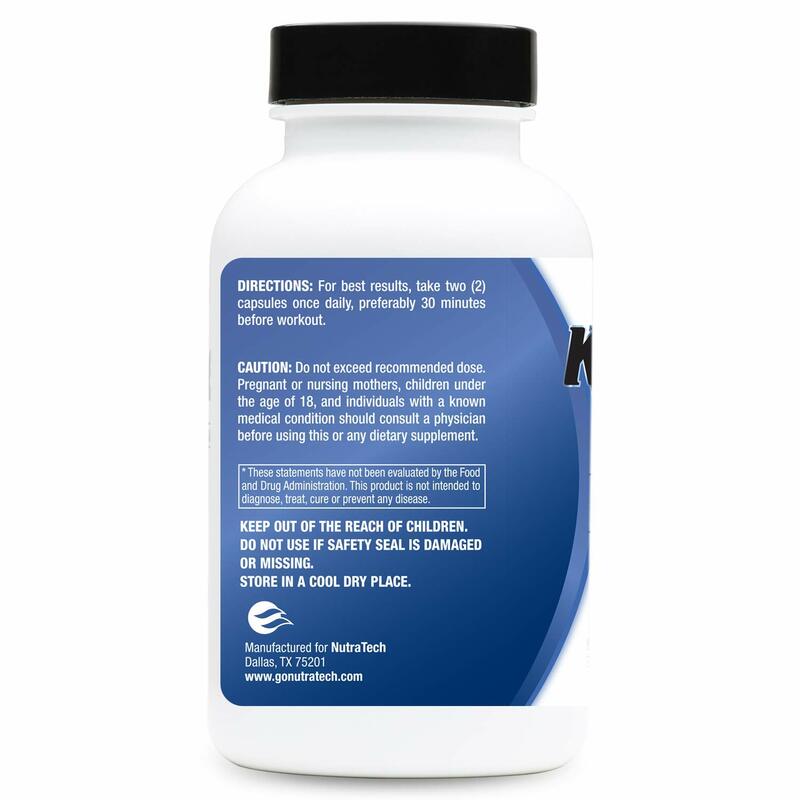 Exogenous ketones are beta-hydroxybutyric acid fused to mineral salts (Calcium, Magensium, and Sodium) that provide your body with ready to use ketones. Exogenous ketones may be a way to increase your ketone levels which may provide health benefits beyond its source of energy, and can aid in faster weight loss than Ketogenic dieting alone. There are two basic ways your body can fuel itself. The most well-known is glucose. When you eat certain foods, your body will turn the food into glucose and release this glucose in your blood where it can go to fuel your different systems including your muscles, your organs and your brain. Ketones are the other primary way you can fuel your system. Ketones are typically produced by the liver from fatty acids from the fat you eat or from the fat you store in fat cells. While we often think of glucose as the primary fuel for our body, ketones appear to be just, as if not more efficient in fueling our bodies and our brains. Nutratech Keto Plus has shown in testing to increase the average time to get into ketosis by as much as 30%, and to increase mental capacity and focus in a similar manner. While your body can naturally transition to produce ketones, this transition takes time. Nutratech has created a way for you to have access to ketones from an outside source, pushing you deeper into Ketosis, and at a much faster rate. Nutratech Keto Plus provides your body with the fuel it needs while in ketosis; but just as important, it helps get rid of the “brain fog” and low energy levels that are inevitable during low carb dieting. Beta hydroxybutyric acids can help increase mental and physical performance while on a carb depleted diet. It can also increase satiety and promote a feeling of fullness for adults, busy professionals, athletes, and other “low carb” dieters that are not on a traditional Keto diet. All of this helps to increase your rate of weight loss and fat burning over ketogenic dieting alone. Whether you are on the keto diet, paleo diet, or just a regular low carb diet, Nutratech Keto Plus can give you a huge advantage while dieting, providing your body with the energy, focus, and motivation push your body needs while on low carb calorie restricted diets. Try it today with No risk with our 30 day no questions asked Money Back Guarantee! Nutratech Keto Plus BHB capsules get you into ketosis quickly and into a deeper state than you could otherwise. Our Triple stage beta-hydroxybutyrates (BHB) formula was designed for Fast Weight Loss for those on a ketogenic diet, or for others who may struggle to get back into ketosis after eating carbs/refeeds/cheat meals. Increases the rate of fat burn and weight loss by forcing the body into a deep ketosis state, further dipping into fat stores for use as energy. 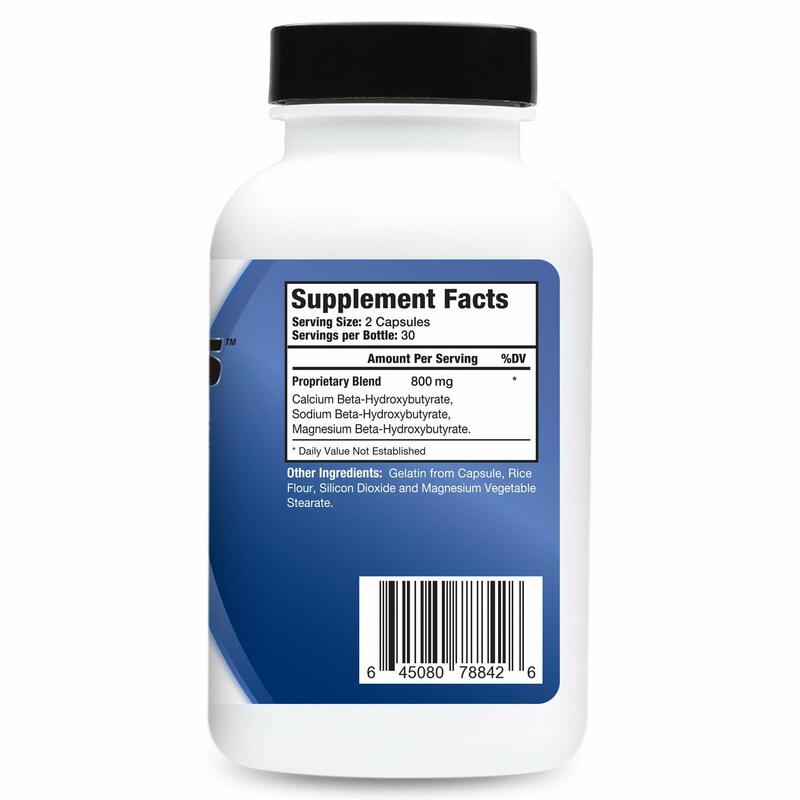 HIGH QUALITY WEIGHT LOSS CAPSULES MADE IN THE USA – Our scientifically formulated burn fat capsules are designed and manufactured in a state of the art facility in the USA. They are made to the highest standards of FDA mandated Good Manufacturing Practices (“GMP”). We only source ingredients from FDA approved suppliers. 100% SATISFACTION GUARANTEED! – At Nutratech we understand that fat loss supplements have different effects on different people. We stand behind our best-in-class products with 30 day money back guarantee. Don’t like it for some reason? Send it back for a full refund at any time within 30 days of purchase.